My son and I recently drove past this 'tree claim' out in the middle of the prairie near Ogallala, Nebraska. 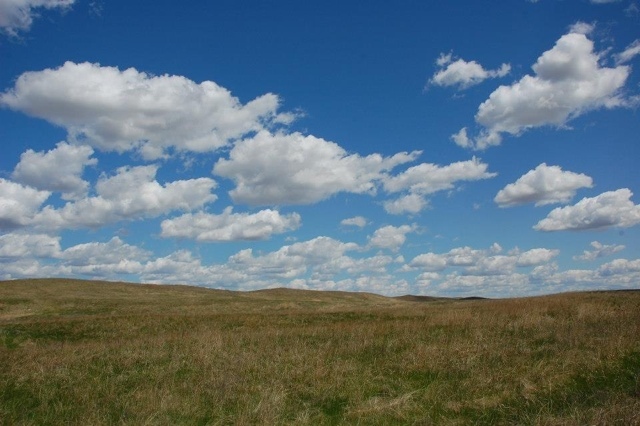 It is a great example of how policy (plant trees to get your land claim) affected landscapes in Nebraska. Of course, there is no homestead now. Just a bunch of lonely cottonwoods, planted in rows. 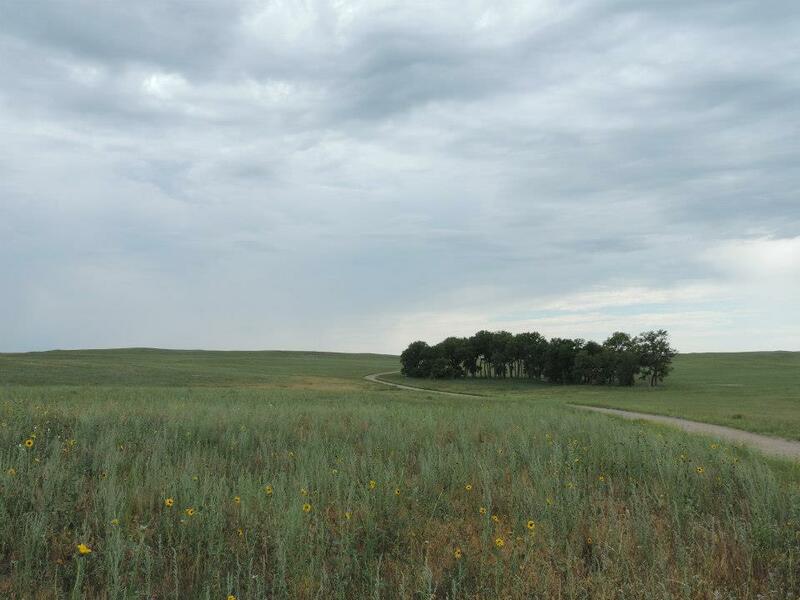 The Switzer family has a ranch north of Burwell, NE (photo below of their pastures). I have enjoyed working with the Switzer family since 2009, when I met them in Namibia (of all places). They traveled to Africa to see how Namibians "did" ecotourism. The Switzers have diversified their ranch operation to include two unique operations, in addition to cattle ranching: an outfitting business (run by son Adam) and an ecotourism/recreation operation (run by daughter Sarah). For the past two years, our family has enjoyed participating in The Prairie Chicken Festival in April, a celebration of that special critter that is spread about the Nebraska Sandhills. You should jot it down on your calendar for next year, as it is a wonderful weekend--great food, great people, great information, and great viewing opportunities of prairie-chickens and sharp-tailed grouse mating displays from the Switzer's unique blinds. The World Wildlife Fund is one of the organizations who has helped support the Switzer's work. In fact, many agencies and organizations have supported their work, and the Switzers have done a good job putting together a good support group. Recently, World Wildlife Fund put together a video (filmed at this year's Festival) about their operation and how it illustrates what can be done for conservation in the Sandhills.